Lilly Pulitzer will always be one of my favorite brands. I just can't away from the bright colors and new prints every couple of weeks. From owning my Etsy shop FabricBowsForDays I basically have to know every new print that's coming out to see what needs to be added to the shop. The problem here is I fall in love with everything. And I mean everything. Lilly definitely isn't on the lower price end so you have to be somewhat selective with what to buy. The past couple of years I have fully immersed myself in the brand, this includes also finding ways to save money, while fueling my obsession. Here's a short list of sites to find lower priced Lilly and what I've found. 1. Poshmark. This is a great site where I see the most variety of items that pop up continuously all day long. I also use it to sell pieces I don't wear anymore. It's great because there is a large audience that will see your items. The only thing to watch out here is that every sale 20% is taken out. Here's the link to my closet and if you want to receive $5 off your first purchase use the code "HLIIN" when signing up. Here's a few deals I snagged! 2. ThredUP. This is an online consignment store. A lot of the things you see here are Lilly items that are a little bit older with the occasional new piece. Quick hint! There's better pieces in the morning before everyone wakes up. I've never sold here before because I heard it take a long time to process clothing but, I'll definitely remain a buyer. You can use this link to get $10 off your first purchase. Here's two of my finds! 3. 6pm. 6pm is Zappo's clearance site. Here all the piece you'll find will be new at about 30-60% off. 6pm is a great place to find older prints that came out earlier in the year that you missed. 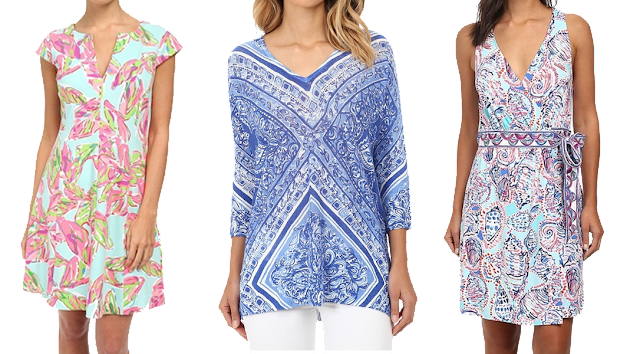 This is also my secret gem during Lilly's two sales each year because they have close to or even lower prices than on Lilly Pulitzer's website. Here's some of my current favorites on there. 4. Preppy Outlet. I haven't figured out where these pieces come from but, they're always priced well for usually only a season back. Prices are pretty close to the back sale section in a Lilly corporate store. 5. St. Bernard Sport. 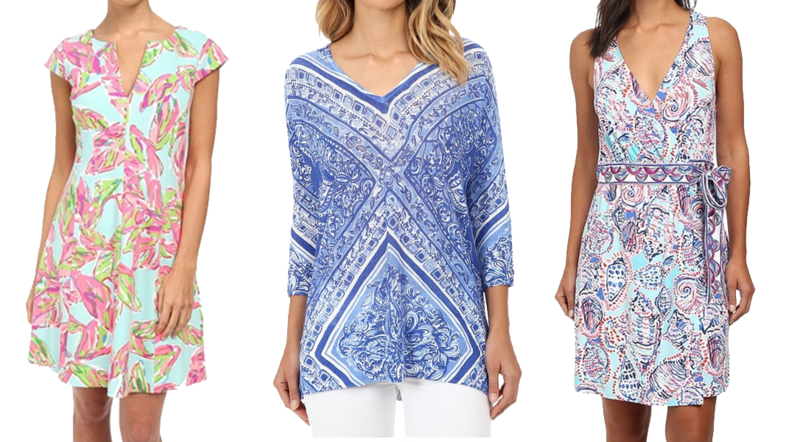 This site always has Lilly (and a bunch of other great brands). They carry full priced items and sale as well. When you really need to shop this site is when they do "Additional x% off already reduced items." Last time they did this Callahans were down to about $30. It's not always going on, but is worth signing up for their email list so you will know when it is.